Known for his tenacious exploits on the turf, former Arsenal favourite Emmanuel Petit has hailed Lucas Torreira’s dogged ethic in his matchday responsibilities, whilst admitting that the Gunners have been pining for an enforcer of the Uruguayan’s calibre for a number of years. 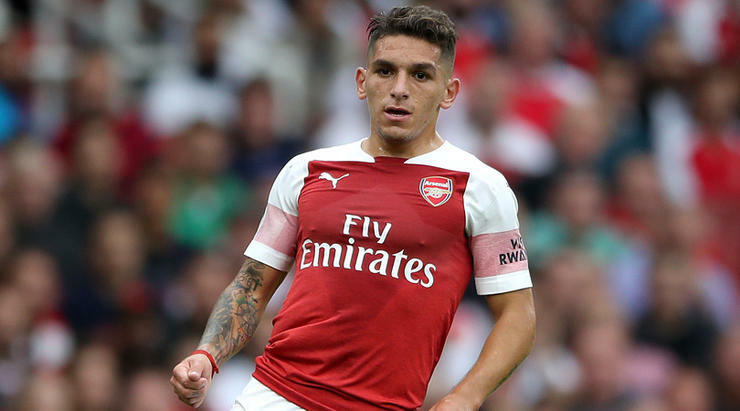 Having started the first five Premier League encounters of the 2018-19 campaign as a substitute, Torreira has forged himself a starting spot in Unai Emery’s selection and has shepherded and safeguarded the middle of the park in a relentless fashion. Torreira hustles, harries and disrupts with a piercing glint in his eye and takes no prisoners in 50/50 challenges. Alongside either Matteo Guendouzi or Granit Xhaka, the 22-year-old forms an impenetrable blanket across the north-Londoners’ rearguard and is also an imposing catalyst on the break – Petit, naturally, is an avid admirer of the South American’s bullish trademarks. Speaking to Press Association (via Metro), Petit markedly sang Torreira’s praises, holding his name aloft as one of Arsenal’s most effective, integral tools, despite not being one of the club’s most cultured operators in the midfield department. “In terms of fighting spirit, Arsenal have needed a player like Torreira.” He said. “With the old back four that I played with and during the Invincibles’ era, we had players with anger who would fight for every ball. “Arsenal have been too glamorous in the past few years, and not dirty enough, but with Torreira, the dirt is coming back into the team. “He is not the most talented player, but he is like a dog on the pitch, he is a leader and sets an example. With Unai Emery in the technical area, Arsenal have unearthed a bold, vibrant philosophy and are currently 18 games unbeaten in all competitions. Under Arsene Wenger’s command, the Gunners were predictable, flat and uninspired towards the latter stages of the Frenchman’s 22-year tenure. Although as Torreira and his teammates have bought into Emery’s vision, the north-Londoners are certainly a force to be reckoned with. Arsenal lock horns with bitter local foes Tottenham Hotspur on Sunday afternoon at the Emirates, and Arsenal’s exalted Spanish tactician will be relying on his reinvigorated set-up to topple Spurs in the hunt for bragging rights, supremacy, and three vital points, as they feverishly hound a Champions League spot. Share the post "Emmanuel Petit hails Arsenal enforcer’s dogged ethic"